There’s nothing like sieving through graves to piece history back together. Between all the bones and endless shards of pottery, the best finds are often the unexpected. From known grave rituals that suddenly don’t follow the rules to strange body modifications to poisonous metals to the origins of cultures, archaeologists sometimes find what they weren’t even looking for. The Egyptian city of Luxor contains incredible ancient architecture. One of its tombs belonged to Userhat, a royal scribe. It’s already a thoroughly explored site, which made a 2017 discovery all the more remarkable. During a routine cleaning, a team of university researchers noticed a gap in the wall near the east side of the forecourt. The inquisitive gang gained entry and were amazed to discover a second scribe’s funerary chamber, dating from 1292 to 1069 BC. Hieroglyphics named the tomb’s occupant as Khonsu and indicated that he, too, held a royal position. The tomb is picturesque, with murals telling the story of Khonsu and his wife as well as scenes showing various gods, including Osiris. One portrayal suggests that the scribe’s muse was a baboon. The painting shows four baboons worshiping the god Ra-Atum, a Sun deity. Ancient Egyptians believed that baboons could spiritually direct a person’s writing. Khonsu’s discovery opens the possibility of more hidden scribes at the site. The oldest human burial in Ireland delivered two surprises. In 2001, researchers examined a grave found at Hermitage and noticed that there was no skeleton. The hunter-gatherers who lived in the area around 9,500 years ago sent people off in a rather plain way: The body was put in the ground beneath a layer of sand or rocks. The Hermitage case, however, was a cremation. 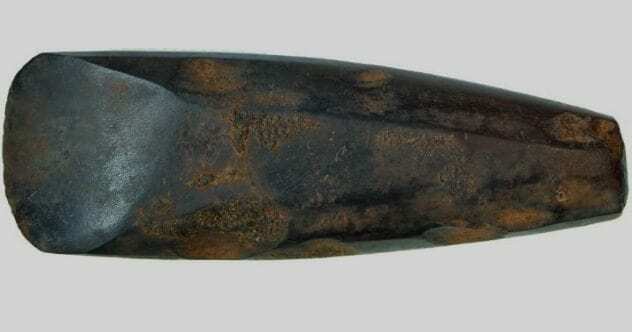 But what raised eyebrows even more was a shale ax found among the grave goods. The weapon is a unique artifact. It displays a level of craftsmanship not otherwise seen until 3,000 years later and is also the oldest polished ax in Europe. Analyzing the wear on this nifty tool continued the streak of the unexpected. Not only had it seen little service, but the ax had been intentionally blunted. 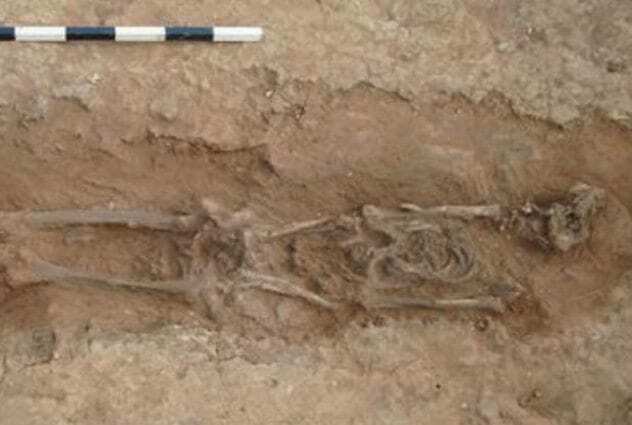 Researchers speculate about the possibility of an unknown ritual requiring superb weapons made purely for a burial and then blunted symbolically to express the death of the person. In Mexico, Teotihuacan was the biggest city in the ancient Americas. Once home to 200,000 citizens of an unknown culture, its grandeur is still breathtaking. In the pyramid-studded complex, one tunnel has received extra special attention. Located beneath the Pyramid of the Plumed Serpent, the tunnel is believed to lead to a royal tomb. In 2015, its excavation had already consumed six years and had to be halted after an archaeologist reached the end and opened a chamber. The room, sealed for almost 1,800 years, held a toxic present: liquid mercury. The silvery element was an unexpected but good omen. The metal is a nightmare to mine and was rare during the time it was interred. Leaving behind large quantities could indicate a sacred space close by, dedicated to something worthy of mercury. 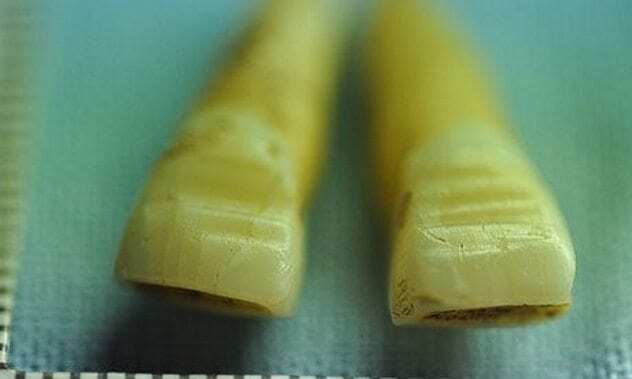 Researchers are rooting for the remains of a ruler. The mystery nation left no written word during their time (AD 100–700), so experts still don’t know what the fluid metal signified or if Teotihuacan even had a king. 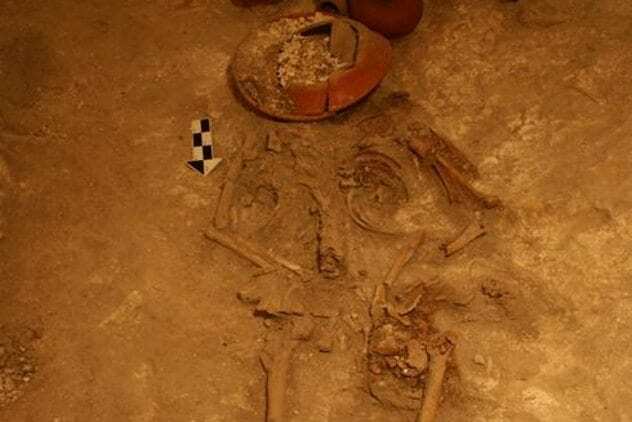 The Moche people, a pre-Inca society from Peru, left behind a cemetery in San Jose de Moro. By 2009, 18 years of finding only female priestesses (seven in all) had left archaeologists fully prepared to welcome an eighth female when they opened another tomb. In hindsight, the grave’s differences should have been a heads-up for a different scene. Dating to AD 850, the cemetery’s only double-chambered crypt contained a man as well as ancient special effects. The coffin, decorated with copper and gold, marked him as an elite male. Clay bowls against the walls contained ceramic bottles. It’s thought that the bottles were heated and lowered into the fluid-filled bowls to cause an awe-inspiring smokey aura during the burial. A staff with bells offered a clue to the man’s identity. Moche artwork depicts a well-documented archetype known as Aia Paec (“Wrinkle Face”), who wields a similar instrument and appears in funeral scenes. Since it was a role held by a living person, archaeologists believe that the man was Aia Paec during his lifetime. The Valley of the Kings in Egypt collected a lot of royal burials from 1550 to 1070 BC. In the largest expedition since Howard Carter’s search for Tutankhamen, the western section produced a head-scratching break from tradition. Between 2007 and 2011, archaeologists found enough artifacts to keep the next four generations of researchers occupied. Among them were four caches arranged at the points of what could be called an imaginary square. 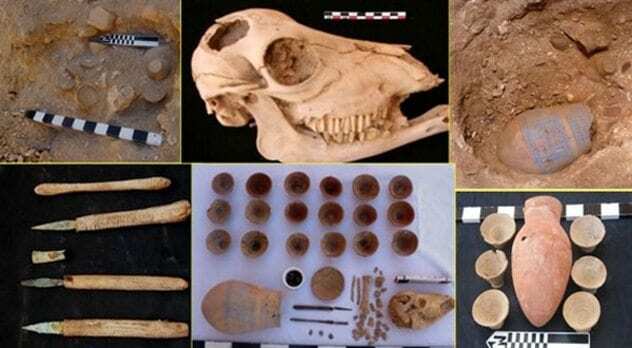 The pattern was familiar, and the items were identified as likely being foundation deposits. Usually, such burials also had a fifth deposit at the center of the “square,” which had always indicated a nearby tomb. At each corner was a ritual offering: a cow’s head, a blue vase, pottery, and flint tools. But search as they may, researchers couldn’t find a tomb or anything else in the middle. Either the tomb is fantastically well-hidden, or it was never constructed. 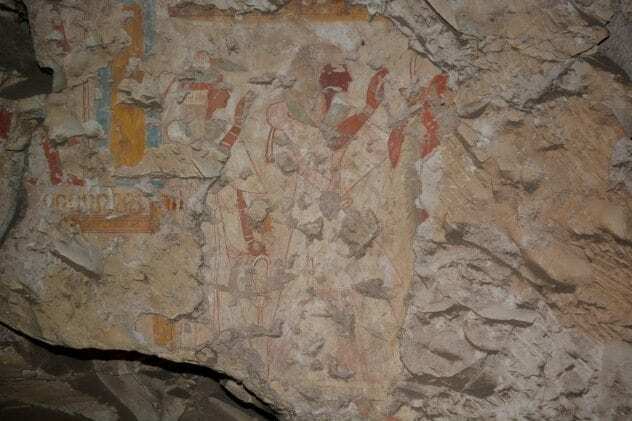 The 3,000-year-old site could have been abandoned before completion, possibly during the time when Amenhotep IV moved the royal court far away to Amarna. Another royal necropolis has churned out regular historical delights. In 2016, South Abydos revealed a burial chamber beneath the desert dunes. The subterranean vault has a distinctly nautical theme. Contrary to the arid local scenery, there are boats everywhere. Over 120 pharaonic vessels sail on the white walls of the vaulted, rectangular-shaped room. Traces of more ships that once adorned the ceiling make the sheer number of boat carvings a unique and wholly unforeseen find. There are even a few remaining planks from what is believed to have been a funerary boat for Senwosret III (c. 1850 BC). The pharaoh’s entire burial complex still needs to be shoveled back into the daylight. More structures are scattered around the “boat building,” and all are underground. 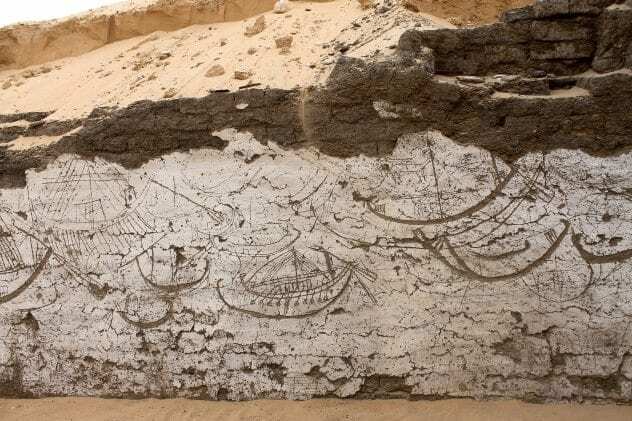 They may reveal additional ships and clues to why the Egyptians chose a flotilla for the plaster walls and not the usual tableau of gods and the underworld. In 2009, a mass grave was found in Dorset. Over 50 Vikings lined the pit, arranged in a morbid manner. Their legs, rib cages, and heads formed separate piles. About 1,000 years ago, the men attempted to raid the local Britons, who slaughtered the marauders. The massacre site was unexpectedly discovered by archaeologists working near a road that was being constructed. Even more interesting than the site itself were the warriors’ teeth. Horizontal lines had been filed into their front teeth with such precision that they couldn’t have done it themselves. Archaeologists believe that the Vikings went to a craftsman and endured considerable pain to receive the toothy tattoos. Why the patterns were in demand is unclear. Since the men were clearly fit fighters, perhaps a bizarre teeth-baring display was used to intimidate their victims—which clearly didn’t work in ancient Dorset. The markings might also have been a type of status symbol among the Vikings. The best discovery was a quirky grave. For a Christian burial, it was abnormal. The man was crammed facedown into a dugout so small that there were only 25 centimeters (10 in) between his shoulders, yet he’d been laid out with great care. Interred after decomposition had begun, somebody went through a lot of effort to keep the man’s body together but turned the knees around 180 degrees. Stories of the time tell of dead kings and saints being moved to a final resting place. The grave loosely fits this pattern. The late burial was perhaps due to a long journey after death. While strange, the burial was respectful, leading researchers to believe that the man could have been an Anglo-Saxon royal or saint. In Guatemala, a surprise find under a Mayan home adjusted the history books. In 2008, diggers at the archaeological site of K’o found a trapdoor leading to a storage room. Awaiting them was a man who had died in his fifties. Surrounding him was a collection of pottery. One piece, an incense burner, changed everything. Experts immediately recognized the figure on the vessel. Called the “jester god” for his tassle-like headdress, scholars know him as a symbol of Maya royalty. He started appearing on artwork around 100 BC. When tests dated the pottery and bones to around 350 BC, it pushed the earliest depiction of the jester and the oldest Maya ruler ever found back by almost two centuries. Perhaps the most groundbreaking shift is how it proves that advanced Mayan civilization began much earlier that previously thought. In 2015, when a team couldn’t get permission from Greece to excavate a slope near the ancient Palace of Nestor, they settled for a grove nearby. 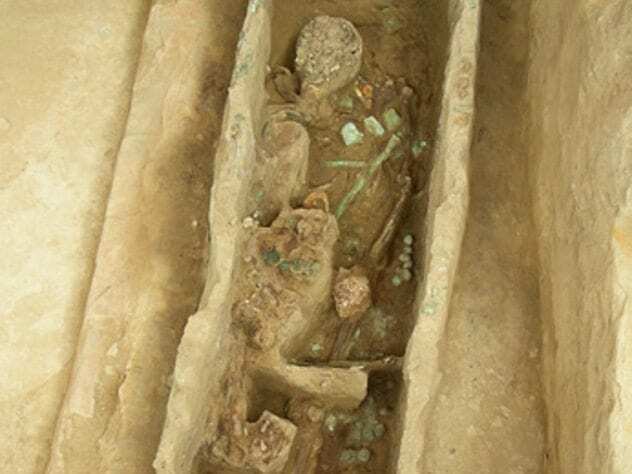 They never dreamed it would yield the most complete tomb found in the country since the discovery of Troy. A shaft lead to a male skeleton surrounded by over 1,400 artifacts. Precious metals and stones, ivory, ornate weapons, and stone seals made for a rich but confusing treasure. Items such as a mirror, combs, and beads are typically associated with female burials, and Mycenaean tombs usually contain multiple corpses. Mycenae was the hub of Greece between 1600 and 1100 BC. The unlooted state of the grave is a miracle itself, but the fact that it dates from the hazy 1500 BC makes it priceless. 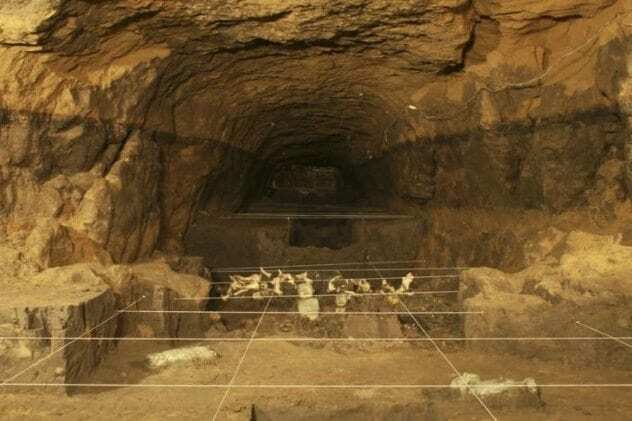 Scholars trying to identify the origins of Greek civilization, which was forming during that time, got an undisturbed view of the older cultures integrated in the tomb. Most artifacts came from Crete, the Baltic, the Middle East, and possibly Egypt. 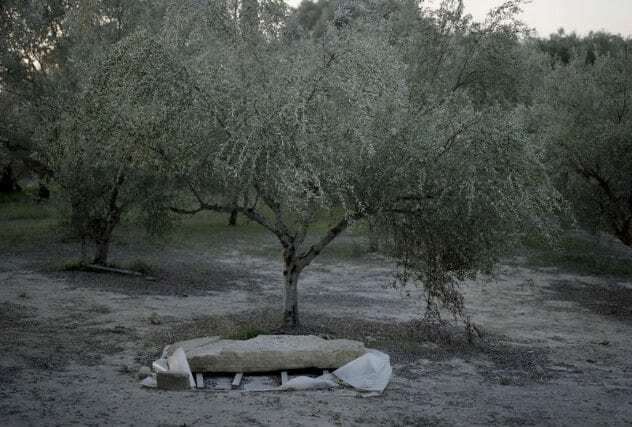 The cosmopolitan nature of the grave might one day name the society that ultimately influenced the birth of Greek culture.